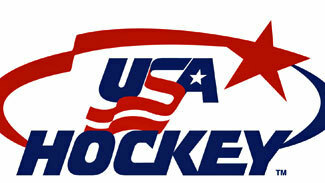 Jacob Trouba, one of the more highly touted draft-eligible players from the Under-18 U.S. National Team Development Program, has announced his destination in the fall of 2012. The 6-foot-1, 175-pound defenseman made it official on Monday via his Twitter account when he verbally committed to the University of Michigan. He was reportedly also considering the University of Notre Dame. "Commited," Trouba tweeted. "It's great to be a Michigan Wolverine!" Trouba won a silver medal for the U.S. at the 2011 Under-17 World Hockey Challenge, producing 2 goals and 9 points in six games. He also scored a goal in the gold medal game of the 2011 U18 World Championships in a victory over Sweden. Al Jensen of NHL Central Scouting paid close attention to Trouba during the USHL Fall Classic last week. He liked what he saw. "I really liked the way he played in all three games I viewed; he's a very good size D man," Jensen told NHL.com. "He skates exceptionally well and likes to rush up ice with the puck and with good speed. He'll also join the rush himself, is very confident and has great agility. He's strong physically, can handle the puck and is always alert. He also did a good job with one-on-one rushes against ... he has great upside." There was speculation that the Rochester, Mich., native would make the jump to the Canadian Hockey League following his first season with the USNTDP U-18 team this campaign. Trouba was chosen in the third round of the Ontario Hockey League's priority selection by the Kitchener Rangers. The decision undoubtedly is music to the ears of veteran Wolverines coach Red Berenson, who will likely lose All-American sophomore defenseman Jon Merrill (New Jersey Devils) following this season, as well as senior goalie Shawn Hunwick. Michigan has made 21 straight NCAA Tournament appearances and dropped a 3-2 overtime decision to Minnesota-Duluth in the tournament final last year. In 2010-11, Trouba played 37 games for the U-17 NTDP team and registered 6 goals, 19 points and 35 penalty minutes before being promoted to the U-18 team for the final 21 games of the season. Former NTDP goalie John Gibson, who was committed to Michigan and was drafted in the second round by the Anaheim Ducks in June, pulled out of his commit over the summer to instead join the Kitchener Rangers for this season. It seems as though Trouba has no interest in opting out of his commitment. "I don't want to make a commitment and then back down from it," Trouba told the media during the NHL's Research, Development and Orientation Camp in August.